FIGHT FAMILY TRAILER 2 from REVGEAREUROPE on Vimeo. The new Revgear exclusive mini-documentary Fight Family takes you to the UK’s top MMA gym, Titan Fighter in London. On November 9th, step through the doors of Titan Fighter and meet the trainers, fighters and promoters who make it Europe’s top MMA wrestling gym. Familiar faces like Brad “One Punch” Pickett and Titan owner Mickey Papas guide you through the legacy of the gym, introduce us to upcoming fighters like UFC new comer Nathaniel Woods as well as a long line of London’s top MMA talent. 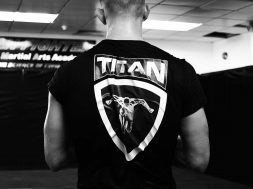 With fighters from across the globe clamouring to get over to London to train with the best in the business, Titan Fighter is a magnet for talent. 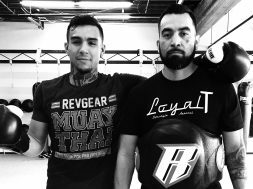 Fight Family brings you the day to day grind of a professional MMA gym, showing you how champions are made and what drives them to be the best. 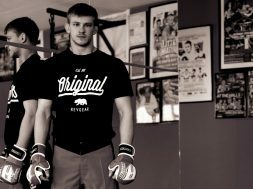 Featuring interviews with Brad Pickett, Mickey Papas, Nathaniel Woods and Chris Fig of Elite MMA Agency, Fight Family tells the story of how Titan Fighter started in a North London garage in 1997 and rose to being the premier MMA facility it is today. Don’t miss this exclusive, insightful mini-documentary on November 9th. 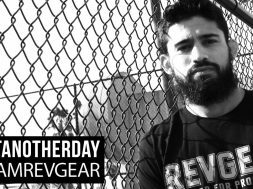 Stay tuned to Revgear Sports for more content that takes you deep into the world of combat sports, with features on MMA, BJJ, Muay Thai, boxing and more. Join the tribe, fight for your passion and explore the world of martial arts.